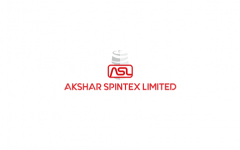 Business description - Akshar Spintex is engaged in manufacturing of cotton yarn. The company manufactures 100% cotton yarn which includes combed, semi combed and carded yarn. Its registered office is situated at Survey No. 102 Kalavad Ranuja Road, Kalavad District Rajkot, Gujarat. The manufacturing facility of the company is situated at Kalavad of Rajkot District in Gujarat state in 1,83,437 sq. ft. area which is in the vicinity of the rich cotton growing areas of Gujarat. The company has installed a capacity of total 24,480 spindles. Akshar Spintex IPO allotment status is now available on Bigshare Services' website. Click on this link to get allotment status.